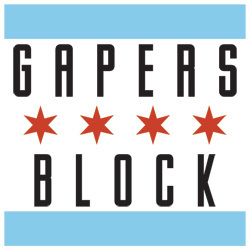 "O'Hare Staging Area #10," by Dmitry Samarov, is the first in a series of five works to be featured during Chicago Week, a collaboration between Gapers Block and the Rockford-based arts purveyor Wall Blank. Each image will be available for one week as a limited edition print through Wall Blank. 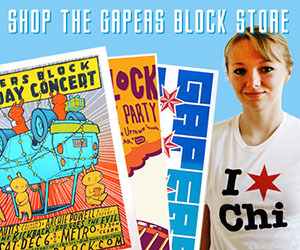 10% of the proceeds of all sales will benefit the Chicago Artists' Coalition. Check back every day this week for a new piece by and interview with a Chicago artist. "O'Hare Staging Area #10" is from a series of paintings done on site at the O'Hare Taxi Staging Area while waiting to be dispatched out to the terminals to pick up fares. I was born in the USSR in 1970. My family moved to the US in 1978, settling just outside of Boston, Massachusetts. I've always made marks on surfaces -- appropriate or not. I was fortunate enough to be sent to art classes at an early age; I count the life-drawing class when I was 16 as the start of my "career in art," though it's been more of an unpaid internship for the most part. I attended Parsons School of Design in New Yrok for one trying semester before transferring to the School of the Art Institute of Chicago and graduating with a BFA in 1993. After a semester of graduate school at Indiana University, my school-learnin' days were through, and the rent's been paid primarily by service industry drudgery: nine of those years as a cab driver in Boston and here in Chicago. I paint primarily from life; it's what excites me and allows a direct dialogue with the world beyond my head. How did you start working with paint, and how has your relationship with it evolved over time? I started with ink and gouache sometime before high school. It took years and years to be comfortable with a brush as opposed to pencil, pen or charcoal. They're such different instruments, and there's no way to know what they do -- their strengths and weaknesses -- without just putting in the years. In high school we had to use acrylics, which I never got used to. In art school I eased into oil paint. I've had an ambivalent relationship with it ever since, neglecting it for months, then diving back into it full-bore. Drawing's been a constant, whether in sketchbooks or as finished work, as well as water-based paints; sumi ink, gouache and watercolor are favorites, each possessing its own quality and charm, each allowing respite from the other. The key thing is to keep the marks true and for that tricking oneself out of ruts and complacency by switching mediums isn't a bad strategy. The goal is for the brushstroke to simultaneously describe and remain its own living organism; to let the viewer in but not be so unobtrusive as to make its own presence unfelt. Chicago's an endless inspiration. Rolling around town, the multitude of views have thoroughly besotted my mind for years. There won't be enough lifetimes to even scratch the surface of the place, but the patchwork, down-to-earth beauty of the place keeps me engaged and makes the soul-sucking aspects of my day-job more bearable than it's got any right to be. You work in interior and exterior landscapes, portraiture and other subjects. Do you work in phases, or might you do portraits and landscapes simultaneously? Dmitry Samarov was born in Moscow, USSR in 1970. He immigrated to the US in 1978, where he eventually graduated from the School of the Art Institute of Chicago in 1993. He currently drives a taxi and occasionally paints pictures in Chicago. You can find him on the web through his portfolio website, along with a taxi blog called "Hack" and a bartender blog called "Dive." He is currently showing illustrations from his Hack and Dive blogs at the Rainbo Club, 1150 N. Damen Ave., through August 21. Beautiful and prolific work Dmitry. I look forward to your future show of cab paintings!